you can not change alot in f12 just basic stuff like map- time -slots- ect. 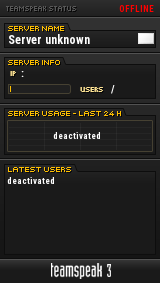 for making player admins and server rules you need to go in ini files in the control panel on server. Thanks for the 3 x orders @ LegionQC, we are looking forward to serving your clan/group!